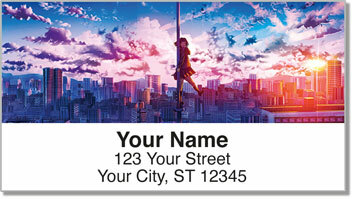 These unique address labels pay tribute to a type of animation that has become a respected art form in Asia. In Japan, the word anime actually refers to all types of animation from around the world. However, in the U.S. the term has come to specifically represent the style of Japanese animation. 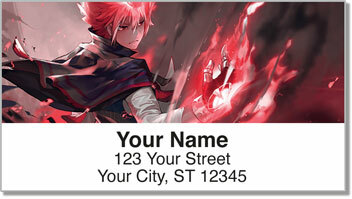 Anime Address Labels from CheckAdvantage feature characters that are reminiscent of popular anime series. 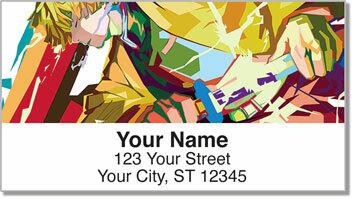 They'll turn your outgoing mail into eye-popping envelopes creating lively letters and packages. Plus, you'll never have to worry about scribbling out your name and address by hand ever again! A convenient self-adhesive backing makes it easy to peel and place the labels on anything! 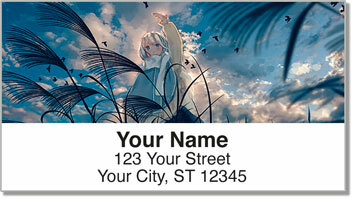 Order your own Anime Address Labels right now! Get them with a set of matching personal checks!